Watchuseek has got to one of my favorite places to lurk around in. 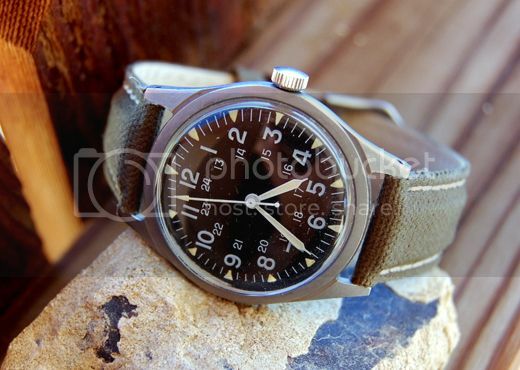 It's a bunch of people posting about, talking about and arguing about, military watches. The other day, I stumbled on the "hack" series by NYC based, Bulova. 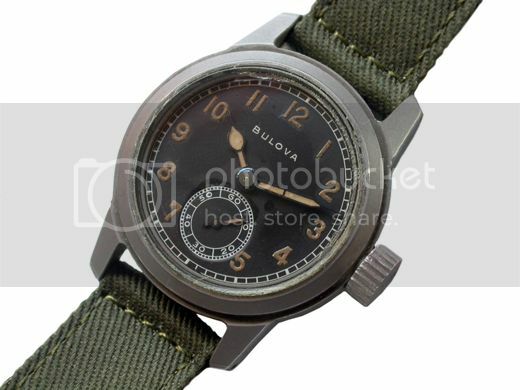 Back in WWII, Bulova was one of the suppliers to US military for watches, clocks and aircraft instruments. 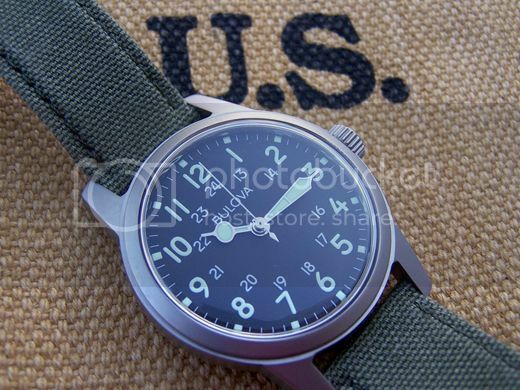 They recently (well, not too long ago) released a series of "limited" watches based on the WWII issues, although I found arguments that they more closely resemble 60's era military pieces. Whatever the details, I'm a fan. 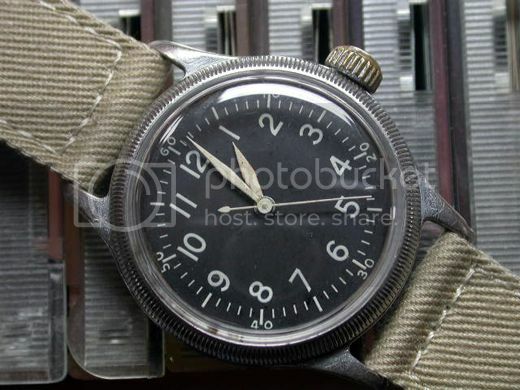 Also, below, a couple vintage WWII era original Bulovas. 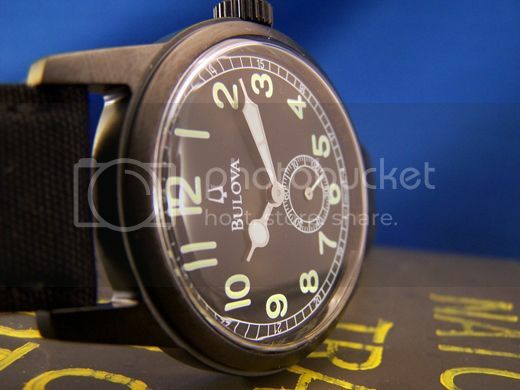 Around a buck 20 will get your wrist sittin' purty all wrapped up in a Bulova Commemorative Hack Watch. The one below is for sale. I've been battling the urge for a few days now. $220? Is that worth it? ?